This fabulous event is ticket only and y’all will want to book up and get the date in your diaries, I’m sure. Yes, it’s the Northampton Christmas Sparkle Fair and it’s only just over 3 weeks away! There are going to be loads of fabulous stalls there, music, food, festivities… and of course handmade goodies from The Craft Fantastic! 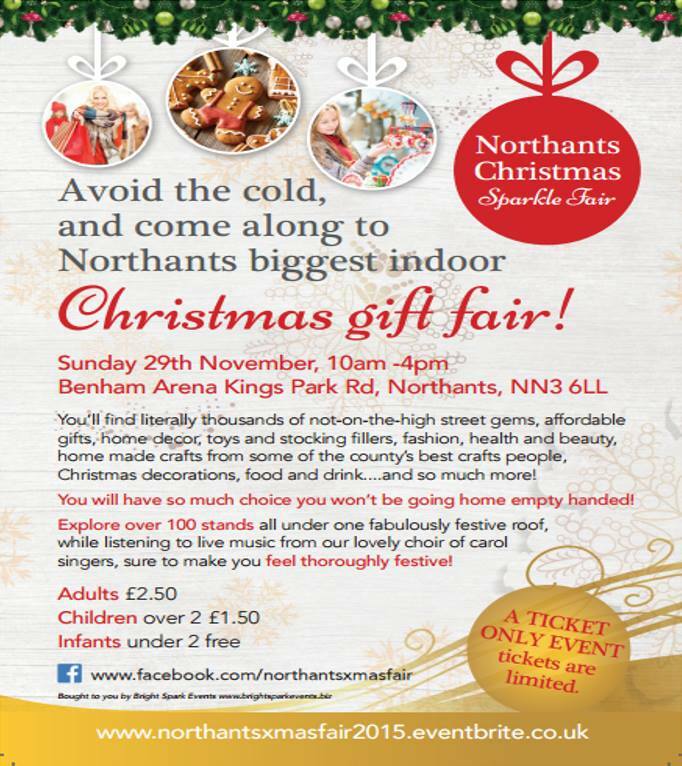 I’ll be there with a stall full of festive paper creations, including gift tags, decorations, and present ideas. Please come and see me on November 29th! Tickets are only £2.50 adult, £1.50 child and are available here. This entry was posted in Craft, Craft fairs, Notebooks, Origami, Paper and tagged Christmas craft fair, Festive, Handmade, Paper craft. Bookmark the permalink. Post a comment or leave a trackback: Trackback URL.